The Sun’s Neil Curtis blames Paul Pogba for Manchester United’s 1-1 home draw with Wolverhampton Wanderers. 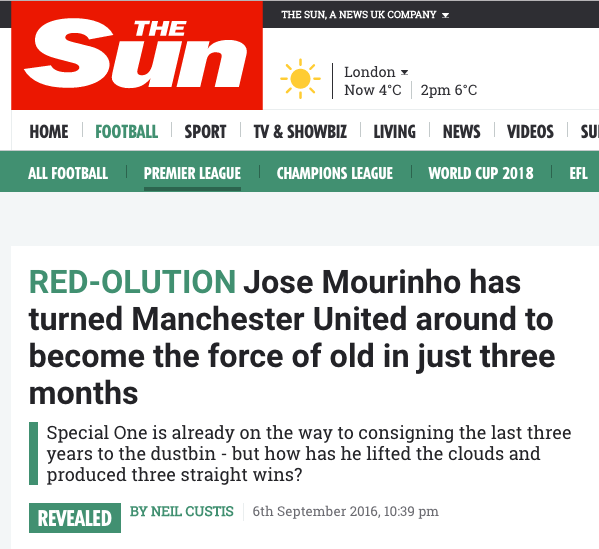 United were leading until the 53rd minute – Fred scored following a super touch by Pogba – when Joao Moutinho hit a superb shot from the edge of the penalty area that arched and dipped past David De Gea. Here’s the goal. You might notice how Luke Shaw fails to block the cross. And Wolves worked the ball very well, getting forward in numbers and unnerving United with their power and precision. But to Curtis this was all about Pogba’s “gaffe”, for which Jose Mourinho gave him a “dressing room dressing down”. United look strong and positive. The first pass is forward once more not sideways or backwards merely to keep possession. Mourinho is trusting the players abilities, letting them breathe. In his £250m splurge, LVG made two that excited but could not get the best out of either in Angel Di Maria and Memphis Depay. Mourinho has made four and so far Zlatan Ibrahimovic, Paul Pogba and Eric Bailly have been immediate hits. Henrikh Mkhitaryan is yet to start. Ibrahimovic and Mkhitaryan have left. Pogba apparently wants to leave. 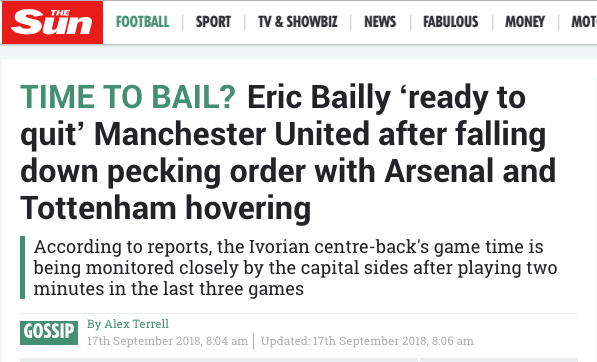 And Bailly has been a disappointment. 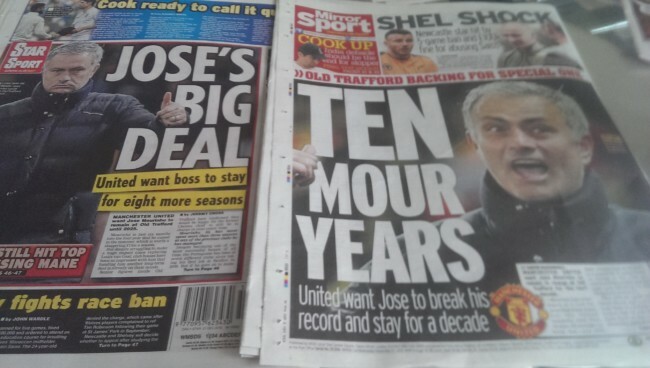 But in the Sun Mourinho is much better than Louis Van Gaal.